Dan has been a member of Englewood Methodist Church for many years. 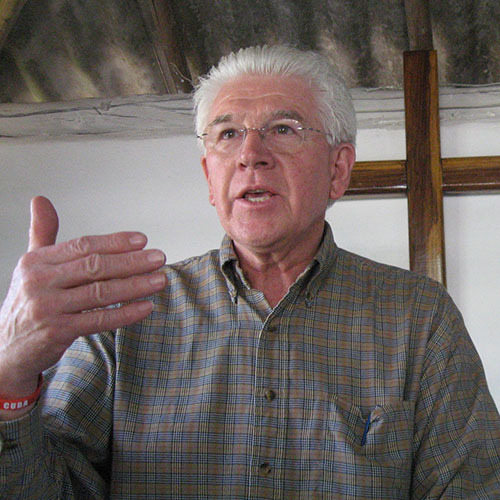 In 2007, he felt called to travel to Cuba to help the churches. He did not know at that time what God had in store for him, and that his life would be the years “before Cuba and after Cuba." In 2009, he took the leadership role as Southwest District Coordinator which involves establishing sister church relationships in the Holguin Norte District. Since that time, he has traveled the country of Cuba extensively with additional duties in Sancti Spiritus and the Guantanamo Districts. Jorge Fernandez was born in Havana, Cuba, and has been heavily involved with Cuban affairs since 1997. He was the former Executive Director and Co-founder of the national coalition “Americans for Humanitarian Trade with Cuba” formed in 1998. He has worked on pursuing engagement and normalizing relations between both nations. He served on the International Policy Committee of the U.S. Chamber of Commerce in Washington D.C. and has given testimony before Congress to end the embargo and pursue a policy of engagement with Cuba since 1998. He has led large and small groups to Cuba in the spirit of People-to-People exchanges, as well as advised the U.S. State Department and members of the U.S. Congress on Cuban matters. He is the CEO and shareholder of Havana Ferry Partners, LC, which was one of the first four firms to receive the first OFAC license to operate fast passenger ferry between Florida and Cuba in 2015. Jorge is an advisor on Cuban Affairs and Trade and serves on the Board of the Sarasota World Affairs Council. Jose Ramon Perez was born and raised in Cuba. His father was a pastor and Jose claimed , at the time, that he never wanted to be a pastor. He studied medicine for six years and worked the first two years after graduation in social service. During this time, God called him to serve as a pastor and he studied five more years in the Theological Seminary. He has served as District Superintendent in Matanzas, Holguin Norte and currently in the Sancti Spiritus Districts. He has been in ministry for eighteen years, married to Adis, and has two teenage sons, Jose Jr. and Samuel. 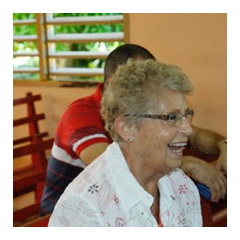 Jan is a member of the Englewood United Methodist Church and one of the church secretaries. She is involved with the Mission Committee and helps organize the Operation Christmas Child project, local shoe drive for underprivileged school children, and Alternative Christmas gift project. Jan worked for many years as a secretary/bookkeeper in Northern Illinois for a non-profit senior citizen organization serving three counties. Dan and Jan moved to Florida 25 years ago. Dan and Jan are the parents of two children, six grandchildren and three great-grandchildren. Nancy is a retired teacher who taught in Michigan, Lebanon, Cyprus, Swaziland and Germany. She served as a Secretary with the Trust Territory of the Pacific Islands in Siapan, Mariana Islands and as an Administrative Assistant in the Office of International Programs at the University of Hawaii. She has been a member of the Englewood United Methodist Church since retirement in 1994. She is Chairperson of the Missions Committee. Nancy travelled to Cuba in 2012, only days after Hurricane Sandy devastated the Holguin Norte District. She was one of the first people in many of the villages to comfort the Cuban people, and was touch by the compassion on how the Cuban people handled the devastation. In 2014, she traveled to Cuba again and was moved again by the spirit and love of her Cuban brothers and sisters. Marty was born in Paw Paw, Michigan, where he lived until 1986. He was co-owner of Bangor Cooler Company, which he sold, enabling the family to relocate to the Venice area. Both his children graduated from Venice High School and live in the community. He has five grandchildren ranging from ages five to 19-years-old. After his move to the Venice area, he became National sales manager for a Sarasota company. He is now co-owner of Cornerstone Real Estate of Southwest Florida. His 26 years in real estate allowed him to pursue many community activities and hobbies. An avid golfer, Marty is currently the Venice High School boys golf coach and has been for the last 28 seasons. Marty traveled to Cuba in 2016 and was overwhelmed with the needs of the people. Since that time, he has made a commitment to help with their needs. Born and raised in Daytona Beach, Florida, Richard attended the University of South Florida and community colleges, as well as taking ABA banking courses during his banking career. Richard has been in banking for over 35 years and now works for a small community bank. He was also a member of the Ormond Beach Methodist Church. Visiting Cuba and living with the people has had a profound effect on him and how God affects people differently. He observed that Cuban church members were happy and excited, knowing that something better is coming to them. He remembers during the Kennedy administration and the Cuban crisis, seeing military units passing through Daytona, both on the train that ran through town and on US 1, as it was the only way to get to Miami at that time. "It really makes you think about your relationship with God and how appreciative we should be living in the USA." Bill is a member of Grace United Methodist Church in Fort Myers, FL. Bill is also a member of St. Peter's United Methodist Church in Ocean City, NJ, and is active on the Mission Committees of both churches. Bill graduated from the Wharton School of Finance at the University of Pennsylvania. Bill was a computer pioneer in 1960 at U.S. Steel Corp. in Pittsburgh. His 40 years career was heavily involved in computer management. He created his own consulting corporation, Bender Computer, Inc., and had a very successful business in New York City. When he learned that their sister church in Cuba, Juan Wesley, did not have any Bibles and could not afford to purchase them, he launched the missions project "Bibles for Cuba." The Holy Spirit has opened many doors for this project and it is growing rapidly. Mark Cummings is the Broker/Owner of Cornerstone Real Estate of Southwest Florida. He is a graduate of the University of Indiana with a Business Degree. He moved to Venice, Florida in 2003 with his wife Nicki and two sons, Nathan and Evan. Since 2003, he has been extensively involved in real estate sales in the Venice area. Adrian Morian Donatien lives in Jamaica, Cuba. He has degrees in Tourism, Radiology and a diploma in Christian Leadership. He speaks three languages, Spanish, English and French. Adrian served as the translator on the trip to Guantanamo in March of 2016. He has the vision and insight that will be very helpful to grow this program. the many challenges within the country of Cuba.